: my mom had a Elvis glass plate that was for looks, collectibles. that was when i was 7 years old. : well i started when my mom was listing to one of his songs and i told my mom who sung the song and she said that it was Elvis Presley and the song was called: Jail house rock. and his looks. : my favorite Elvis Presley song is Jail House Rock. : Me and my mom was standing in the living room,we were talking.A man was there putting in a new vanity. He came out to ask a question, and mom told him to shut up because Elvis just died. : Because he was a great entertainer. : I have not been there but i have seen pictures on the Internet and saw pictures of some of the rooms. Thank you for your comments on our survey. 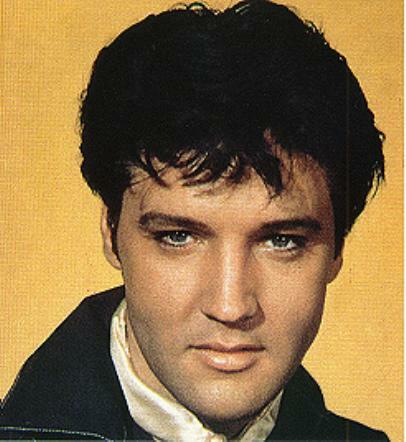 Elvis was extremely good looking having a huge effect on many lives world wide. He had an amazing talent; His music is without a doubt timeless. Elvis was totally amazing on stage; he was quite the showman who loved his fans as much as we adore him. Elvis was a truly warm natured man with a heart of gold. Elvis in his black leather is at the top of my favorites too! Paula, I haven`t had the chance to visit his home yet, but hope to someday. Hope you do to someday! Paula below are the lyrics to your favorite song. Enjoy!